At the moment, ALL gloss black grilles are NOT available. Only available in gloss black frame w/ chrome fins. 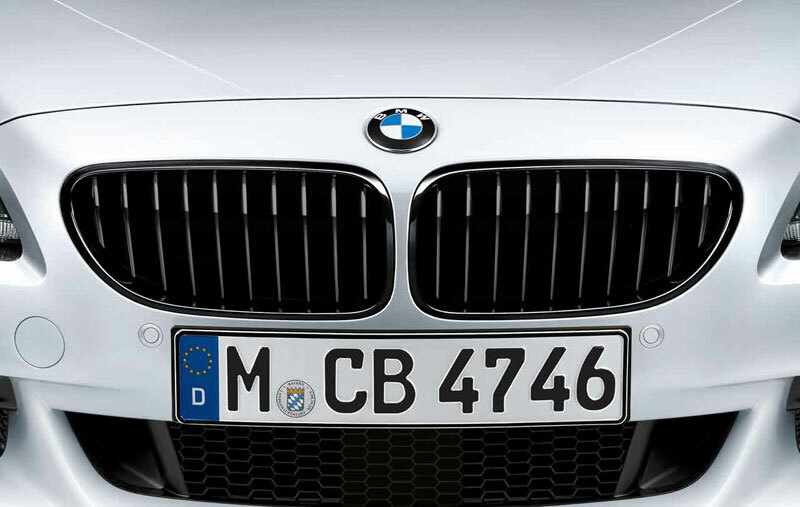 Give your new BMW F12 6 series or M6 a new aggressive look with a set of BMW Performance Gloss Black Kidney Grilles. Your OEM chrome kidney grilles can eventually fad and peel, leaving your 6 series dull and outdated looking. These Gloss Black Grilles are professionally painted and will last and endure the elements. They are made by BMW to ensure a perfect fitment and a durable construction.